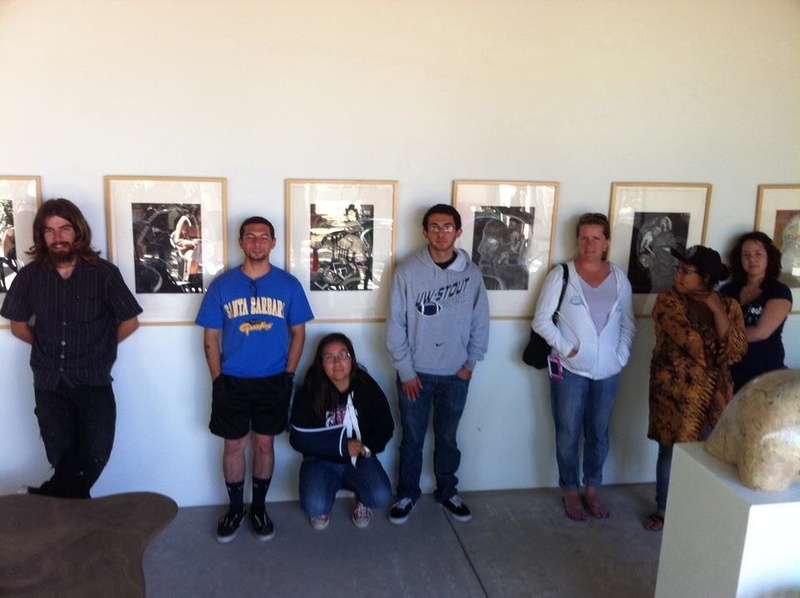 Our latest adventure: field trip to Ventura River and Art City. 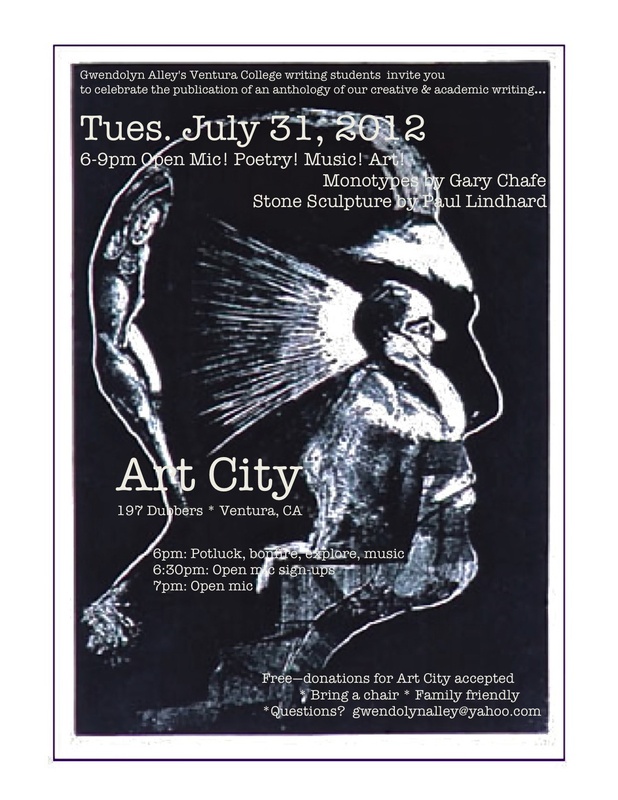 Next Tuesday we return to Art City for our end of session publication party! 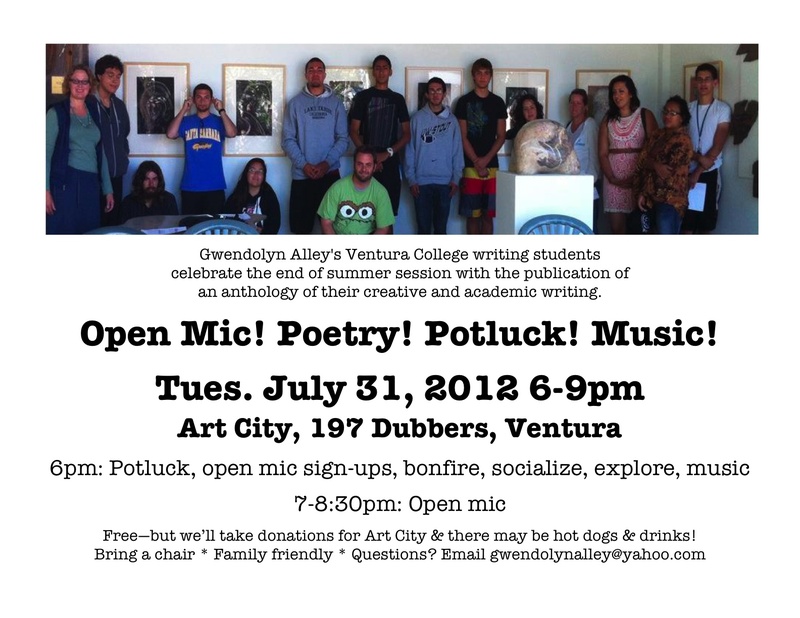 Gwendolyn Alley’s Ventura College summer school 2012 writing students took a field trip to the Ventura River and Art City. At the river, they learned about the Ventura River Parkway from Friends of the River and Sierra Club board member Jim Hines. At Art City, Barbara Bain, an enrolled member of the Shasta tribe, discussed the issues of “blood quantum” and tribal lands with students. 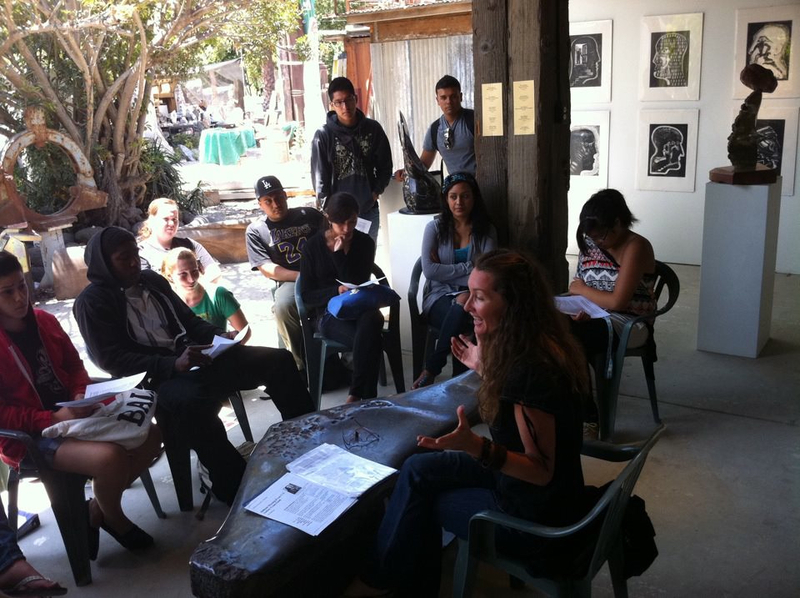 Students also checked out neighboring Patagonia headquarters and explored the grounds of Art City.